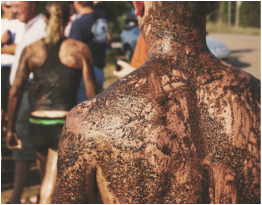 Join us for our Savage Dash, one of the dirtiest, most adventurous and craziest events in town! Our 5k race takes you on a course through mud, muck & water, down fire poles & slides, over hay bales, tires & tight ropes and let’s not forget the nets & walls you’ll climb! We’ve always prided ourselves on being a race for everyone, a course designed for all levels- and that holds true today! Whether you’re a seasoned runner or obstacle races, new to running or just want to walk the course & ‘skip’ the harder obstacles- join us! The Savage Dash is for everyone! ​And let’s not forget about our Kids Dash- the favorite event of Jack Pine weekend! ​& so much more at Jack Pine Savage Days! Find out everything you need to know about Savage Dash 2019! Get the muddy details here! fun events!​ Go to the gallery! Neither sleet nor rain nor snow will keep a postal carrier from his or her appointed rounds, but they can sure put a damper on outdoor gatherings and classes. Sun, too, can be merciless without a bit of cooling shade to moderate it. A newly built shelter at Spooner Elementary School will help minimize those weather inconveniences and encourage more outdoor learning and community connection to the school thanks to a grant from Lowe’s, funding from the district’s PTA (formerly the PTO), and the help of students, volunteers, and area businesses....Read More. Copyright © 2017. Savage Dash. All rights reserved. Website by Color It Red Design.